Ushuru did not make things any easier as they packed the bus on Sunday. “We have to work on scoring where we struggled a lot in the match but today [Sunday] our opponents came here only to defend hence the nature of the result,” Ze Maria added. Indeed this year Gor Mahia have had acute difficulty scoring when Jacque Tuyisenge is not on the field. The coach was asked whether the team misses the Rwandese striker. He responded by saying the club cannot be dependent on one player. Gor Mahia’s best chance came when they were awarded a penalty when Jacob Keli was fouled in the box. The confident Keli stepped forward to take the kick. But his purely executed penalty was saved by Shaban Odhoji in the Ushuru goal. Keli later apologized to fans who trolled his social media pages with harsh criticisms. Its good to see Keli still confident. Fans should rally around Keli instead of bombarding him with criticism. 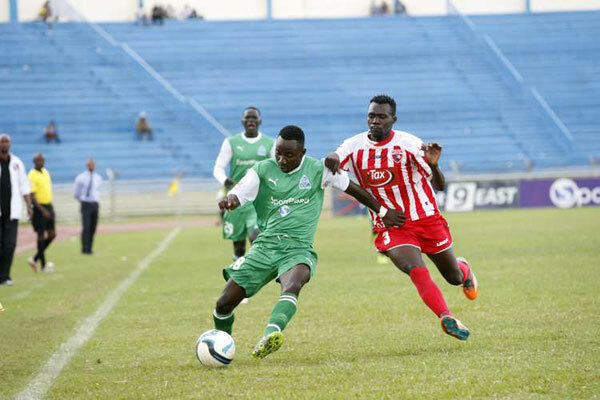 Gor Mahia will need Keli tio return to the form that saw him lead the scoring charts in 2013. The club cannot be dependent on one injury prone player. 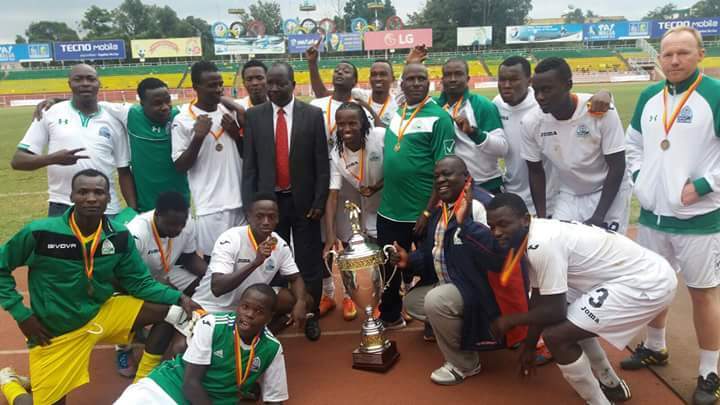 Gor Mahia have started the 2016 season on a bright note by beating Ethiopian giants St George 5-4 on penalties. The match had ended 1-1 in regulation time. The match was being played to commemorate the 80th Anniversary of St George’s existence. New signing Jacob Keli opened his Gor Mahia account with a goal just before half time. Uganda international Brian Umony equalized for the Ethiopian side in the 90th minute thus forcing the match into penalties. It is a significant achievement considering that St George were the host side playing in front of a partisan crowd. And they have won the Ethiopian league 27 times including the last two (2014 and 2015). Consider also that Kogalo were playing without the full complement of players. It is a stark contrast to last season where Gor Mahia lost to Power Dynamos in their first major friendly of the season. At the time Nuttall asked fans for patience stating that the team was still building cohesion. All this shows that Kogalo are now already a cohesive unit and have not skipped a beat and a ready to conquer 2016 in the same manner that they conquered the year 2015. With Michael Olunga all set to begin his career in European football, Gor Mahia will be looking for a person who can fit the breach left by Olunga who scored more goals than anyone else in Kenya in 2015. That man could be Jacob Keli. He is no stranger to scoring goals, having led the Kenya Premier League in scoring in 2013 with 17 goals. Keli has expressed an eagerness to prove his worth in the green Kogalo jersey. “I am eager to return to the Kenyan Premier League and I really want to to score many goals for Gor. I know I have that ability and just ask for support from the fans. 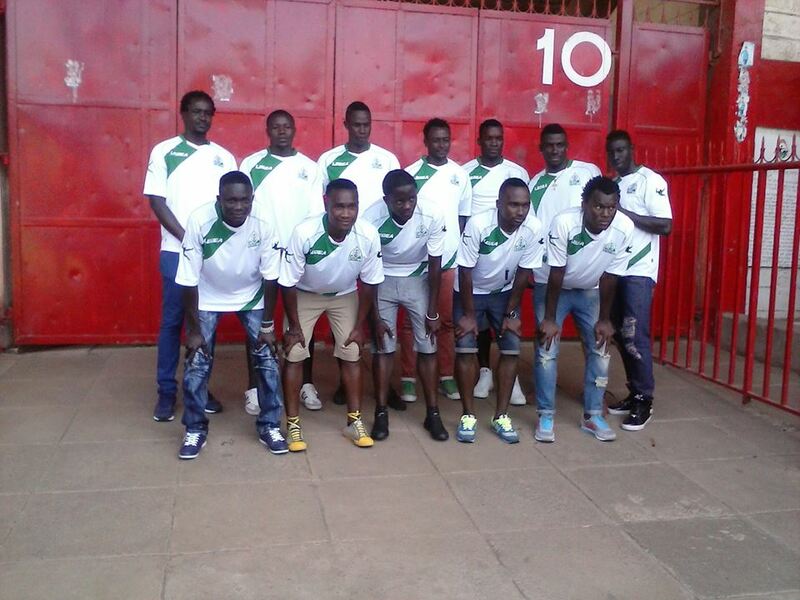 They are a big part of this big club,” Keli said to the KPL website. Playing for Gor Mahia almost always brings out the best in many players. Olunga reached soaring heights after he played for Gor Mahia. Sserunkuma was called to the Uganda national team after he played for Gor Mahia. Now Keli also believes that playing for this storied club will bring out the best in him. Other reports suggest that Gor Mahia are in the midst of finalizing a contract with Rwandese strike Jacque Tuyisenge according to a report on rwanda.foot.com. Tuyisenge who has already been nicknamed “Ja usenge” by a section of Kogalo fans confirmed this. “They offered me a two year contract and I’m okey with it,” The player said. He currently plays for Police FC. Back in 2011, Gor Mahia were trying to strike a deal with the same team to sign Meddie Kagere. The deal came a cropper when Police asked for a transfer fee of Ksh 4 million. In a bid to bolster the attack which has recently lost Meddie Kagere and Timothy Otieno. Gor Mahia has apparently signed Jacob Keli from Nkana FC. Only yesterday, other reports suggested that Keli was headed to Bandari. Signing a striker of Keli’s caliber is important considering that the club has lost Kagere, Timothy Otieno and will at some point soon lose Michael Olunga. Jacob Keli Mutunga first burst into the limelight when he played for KCB in 2013 and ended up as the top scorer in the Kenya Premier League with 17 goals. He then joined AFC Leopards in 2015 before leaving to join the Zambian outfit. During the previous transfer season he was rumoured to be joining Gor Mahia and even attended an event hosted by chairman Ambrose Rachier. He joined Nkana FC in July of 2015 in the Zambian mid-season on a two year contract. However he was unable to settle into a regular starting position in the Zambian side. Keli has partnered with Olunga at national team level such as when Kenya played against Cape Verde and again in the CECAFA senior challenge cup. They therefore have a level of familiarity. Coach Frank Nuttall has proven that if given time, he can create good cohesion between strikers.